Droom does not help with missing cashback issues. Droom Coupons, Promo Code & Cashback Offers : Used Honda motorcycle/bikes available at starting price of Rs. 11,000. All used Honda motorcycle/bikes come with Full Circle Trust Score and 100% Buyer Protection. Few top used Honda motorcycle/bikes models are Honda cb shine, Honda cb unicorn, Honda cbf stunner, Honda cb twister, Honda cbr 250r. Droom Cashback Sale : Used Hero motorcycle/bikes available at starting price of Rs. 6,000. All used Hero motorcycle/bikes come with Full Circle Trust Score and 100% Buyer Protection. Few top used Hero motorcycle/bikes models are Hero passion pro, Hero splendor plus, Hero passion plus, Hero splendor, Hero cbz xtreme. Droom Promo Codes : Used Bajaj motorcycle/bikes available at starting price of Rs. 7,600. All used Bajaj motorcycle/bikes come with Full Circle Trust Score and 100% Buyer Protection. Few top used Bajaj motorcycle/bikes models are Bajaj pulsar, Bajaj discover, Bajaj avenger, Bajaj platina, Bajaj pulsar ls. Droom Coupons : Used Ktm motorcycle/bikes available at starting price of Rs. 60,000. All used Ktm motorcycle/bikes come with Full Circle Trust Score and 100% Buyer Protection. Few top used Ktm motorcycle/bikes models are Ktm duke, Ktm rc, Ktm rc8 r.
Now Book your package → Gaadifix will call you within 24-48 hrs to fix an appointment → Get authentic parts delivered at your place → Mechanic will arrive at your place at your suggested time → Get service at your place. Droom Discount Offer on RTO Services : Now get RTO Services starting from Rs.1770 only & save more. Get Transfer Of Ownership - Four Wheeler at Rs.4130, Transfer Of Ownership - Four Wheeler at Rs.3770, Transfer Of Ownership - Two Wheeler at Rs.1770, Transfer Of Ownership - Two Wheeler at Rs.4130 only. 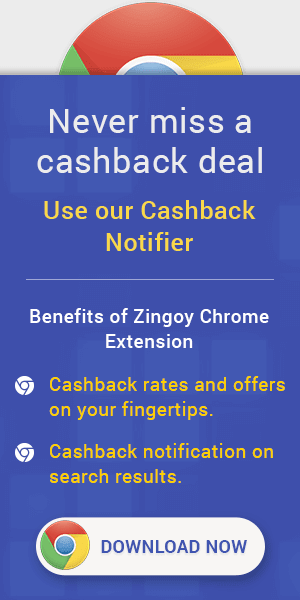 Droom Cashback Coupons : Invoice will be issue by the Actual Service Provider. Services will be provided by the concerned service provider and not by the Droom. Any issue with the service resolved by Actual service provider. Now Get your Auto Inspection - Bike Inspection - ECO Auto Inspection at Rs.249 only from Droom & Save more. Droom Cashback Offers : Now Get Auto Inspection - Extensive Car Inspection - ECO Auto Inspection at Rs.549 at Droom. Invoice will be issue by the Actual Service Provider. Services will be provided by the concerned service provider and not by the Droom. Any issue with the service resolved by Actual service provider. Droom Offer : Now Get OBV Premium Valuation Report at Rs.99 from Droom. Now buy this & Stay one step ahead with the OBV Premium Valuation Report and find the fair market value of any used vehicle under 10 seconds!